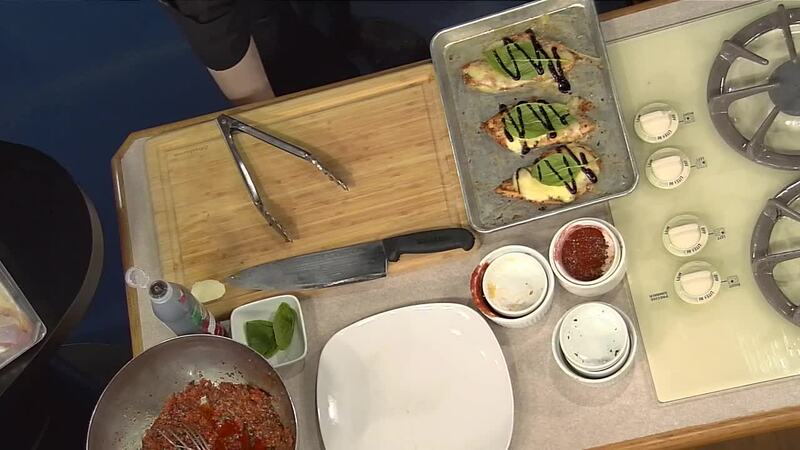 SOUTHFIELD, Mich. (WXYZ) — If you're looking to change things up in the kitchen or at your next gathering, Papa Joe's Gourmet Market and Catering has added something new to it's menu that you may want to try. Marinate chicken breast at least 4 hours (best if marinated overnight). Remove chicken from marinade and allow to sit 5 minutes before cooking. Discard the marinade. In large sauté pan, heat oil over medium high heat. Sear the chicken on each side approximately 5 minutes per side, until internal temperature reaches 165 degrees Fahrenheit. Top each chicken breast with 2 slices of mozzarella, and place in oven to melt and brown cheese, about 5 minutes. Garnish with fresh basil and a drizzle of balsamic glaze. Serve immediately and refrigerate all leftovers. Papa Joe's has locations in Birmingham and Rochester. To learn more about Papa Joe's Gourmet Market and Catering, visit https://www.papajoesmarket.com/ or https://www.papajoesmarket.com/catering-details.